Will you kindle the flames of this awesome collectible? 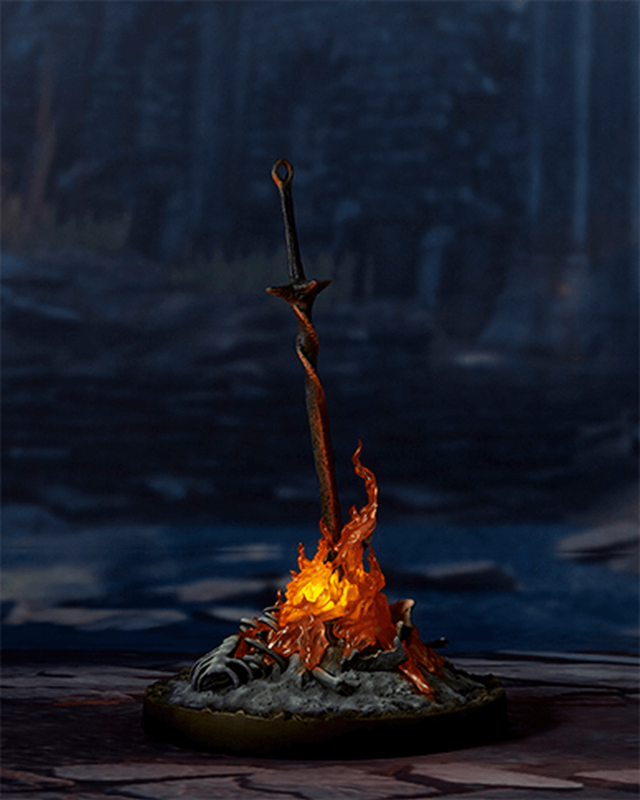 If there is one object that is instantly recognizable from Dark Souls, it has to be the bonfire. This staple's importance within the series cannot be downplayed, acting as both beacons of hope and symbols of surrender. Sure, the first time you find a bonfire you may be excited to have reached the next checkpoint, granting you a chance to rest and relax for a few moments. However, that same bonfire can quickly turn to frustration once you have died and respawned at it twenty or more times. 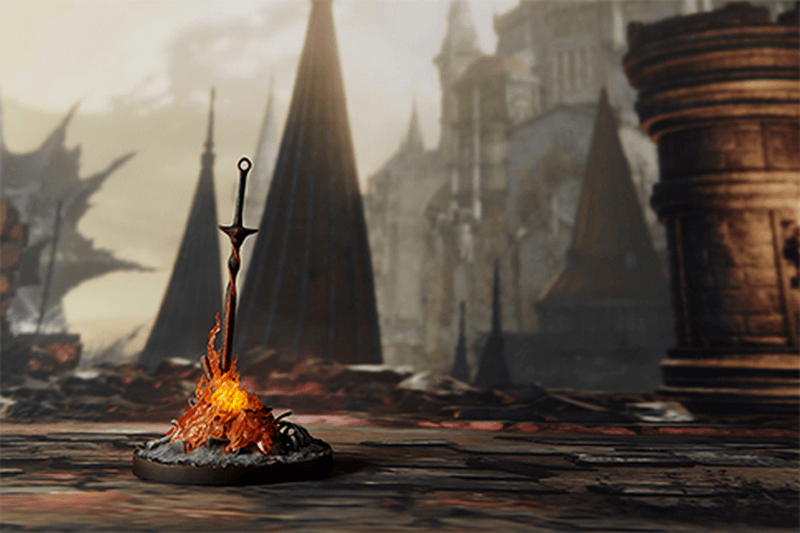 The latest announcement from Gecco celebrates the duality of the flames with its new collectible, a 1/6 scale light-up bonfire from Dark Souls III. This beautifully-detailed statue, sculpted by veteran artist Shinya Akao, features an LED flame that actually lights up when the coiled sword is inserted into it! Check out the full product details below. 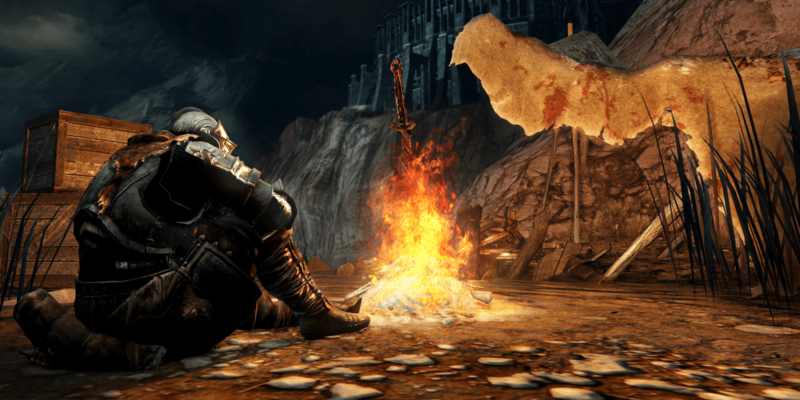 The Bonfire holds many sacred and important meanings in the Dark Souls series. Gecco is excited to present this monumental fire as a 1/6 scale statue, no detail was left uncaptured. The burnt bones buried in ashes and the coiled sword were traditionally sculpted in clay by Shinya Akao. The complex surging flame was digitally sculpted by YU-KI. As a surprising feature, the flame is lit by inserting the coiled sword into the earth just like in the video game scene. The details really shine from within, lighted by a special flickering LED, the bonfire statue displays beautifully as a stand alone piece but also creates an impressive display next to other Dark Souls 1/6 scale statues. The perfect addition to your 1/6 scale Dark Souls statue collection. Gecco's 1/6 scale Dark Souls III Light-Up Statue is available for pre-order now with a retail price of $99.99. It will see a release around September of this year. Will you light the flames or embrace the age of darkness?